First Warm Up Cricket session for 2015 season will being at Onex on 5 April 2015, 12.30pm. Geneva XI Stars CC lost their second semi finals in a row to a convincing Nomads CC. In a match played at Uster, XI Stars won the toss and decided to field not sure of how the wicket would play. Nomads started confidently with the inform Faheem Nazir stroking a masterful 56 before handing over to his brother and former Swiss National Team captain Azeem Nazir who blasted a spectacular 98 not out which included 13 huges sixes and ultimately leading Nomads to 258/6 in 40 overs. A very daunting total on a difficult wicket. In reply XI Stars were never in the game, losing regular wickets against a disciplined attack. With the run rate climbing XI Stars could not build any partnerships and were ultimately bowled out for 129. Only Kuldeep Rawat provided a semblance of fight with his 41. In the end Nomads were deserving victors and we wish them the best for the Finals!!! Geneva XI Stars Cricket Club announce the playing XI for the Semi Finals of Cricket Switzerland McGees 40 Over league scheduled for tomorrow at Uster in Zurich against Nomads Cricket Club, Zurich. Hafeez Raja (C), Kanapathi Ruban, Ali Saleem, Ali Malik, Mounir Barone, Amandeep Singh, Kooldeep Singh (WK), Aamir Ali, Ali Asad Shah, Samim Ahmed, Vithurajan Thuraisingam. All the club supporters who wish to travel with the team are requested to contact the captain for further travel details from Geneva tomorrow morning (24.08.2014). And of course last but not the least all the participating members and supporters of the club. Geneva XI Stars won the first edition of GNM T20 cup held over the weekend at Bout du Monde. 4 clubs participated in the tournament. The first knock out game was played between XI Stars and Geneva Cricket Club which was comfortably won by XI Stars by 82 runs. 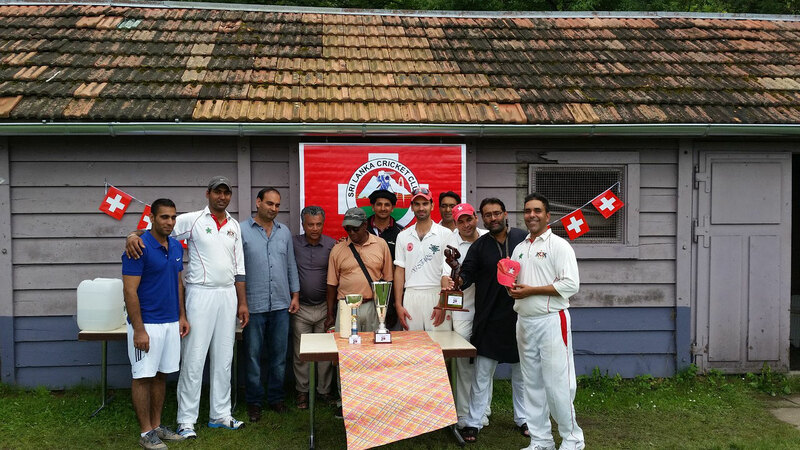 The finals played on Sunday against the Swiss champions Olten CC resulted in XI Stars winning by 50 runs. Batting first XI Stars mustered 175 with Raja Hafeez scoring 32 and Amandeep Singh scored a quick fire 40 propelling the score. In reply Olten CC could only muster 125/9 in alloted 20 overs. A good team effort by XI Stars resulting in the first trophy of the year. 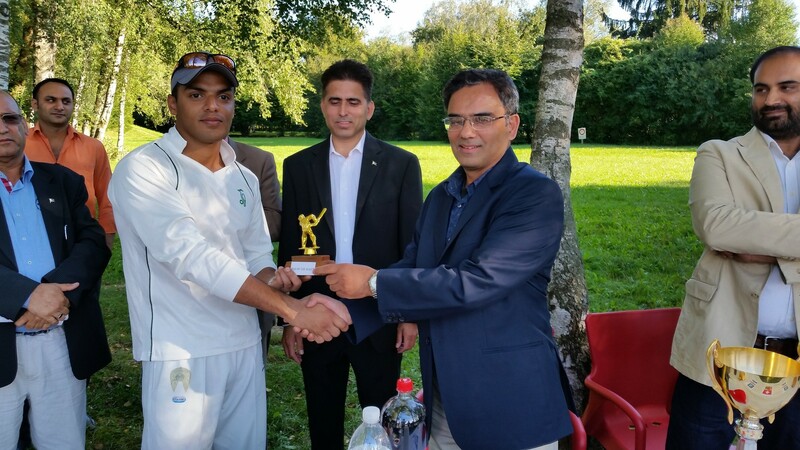 Geneva XI Stars CC lost their final important game against Uprising CC by 4 wickets in McGee´s 40 over league championship. Batting first on the synthetic surface Geneva XI Stars could only muster 211 in 38 overs. Apart from Asvin Lakkaraju who scored a brilliant 71 and Kuldeep who scored a good 33 none of the other batsman could come to terms with the wicket and bad shots did not help the cause. Geneva XI Stars were never in the game after lunch dropping the opener of Uprising CC 4 times before he could score his hundred. Ultimately Uprising CC won by 4 wickets. This result now leaves the hopes of entering semi finals in the hands of rest of the other teams and will only be decided on 17 August. In a closely fought match between Geneva XI stars and Swiss Colts , Geneva XI Stars registered their 3rd win inMcGee´s 40 over league championship.. Geneva batted first and posted 310 runs for the loss of 9 wickets on board with Waleed Saleem top scoring with 53 and in reply Colts showed some great batting and fighting spirit by some young players and managed to post 287 for 6 wickets in the allotted 40 overs and were short of the winning target only by 23 runs. For the Colts skipper Arjun Vinod top scored with an outstanding 93. Geneva XI Stars are back to the winning ways after a shocking defeat the previous weekend against Cern in McGee´s 40 over league championship.. The team displayed a valiant spirit to come back and get Cossonay all out for 215. The Chase was managed beautifully by Waleed Saleem who top scored with 66 and the finishing touches were provided by Mounir Barone with an unbeaten 50 and gave the XI Stars a comfortable victory. 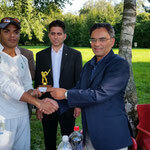 Cern CC manage to defeat Geneva XI Stars CC in a high scoring game played at Onex in McGee´s 40 over league championship. Batting first Cern CC scored 283/10 in 39.2 overs. Amandeep Singh was the pick of bowlers with 4 wickets. In reply XI Stars managed only 234 runs with Ali Saleem top scoring once again with 73. On a hot and sunny day XI Stars CC took on GICC in their first league game of McGee´s 40 over league championship. After winning the toss XI Stars skipper Hafeez chose to bat, however the skipper couldnt capitalize on perfect batting conditons and lost his wicket in the first over. The Saleem brothers joined together and conjured up a crucial 143 runs partnership for the second wicket which allowed rest of the team to go and have a go at the leather in the end. Ali Saleem ended up being the top scorer with a brutal knock of 74 runs whereas the elder brother Waleed Saleem stroked a classy 56. After losing both the brothers in the process of acceleration, the rest of the team could conjure up 100 runs in the last 10 overs taking the score to 302/9 in 40 overs. Amadeep Singh continued his lusty hitting form with quick fire 39 including 4 huge sixes. A big target to chase. After a delicious lunch, the XI Stars bowlers were on spot but however could not induce a breakthrough: In came the star of first session and in his first over got the wicket of dangerous opening batsman of GICC. Ali Saleem then took 3 more top order wickets and Asad sha one more to break the batting sides top order. The rest of the game turned out to be a formality with GICC trying to survive the rest of the overs to make sure they have the batting points and XI Stars getting all their field up and trying to get GICC all out so that they claim the maximum bowling points. Muhammad Ali bowled some briliant outswing bowling to pick up 4 wickets. In the end GICC were 238/9 in 40 overs and lost the game by 64 runs. 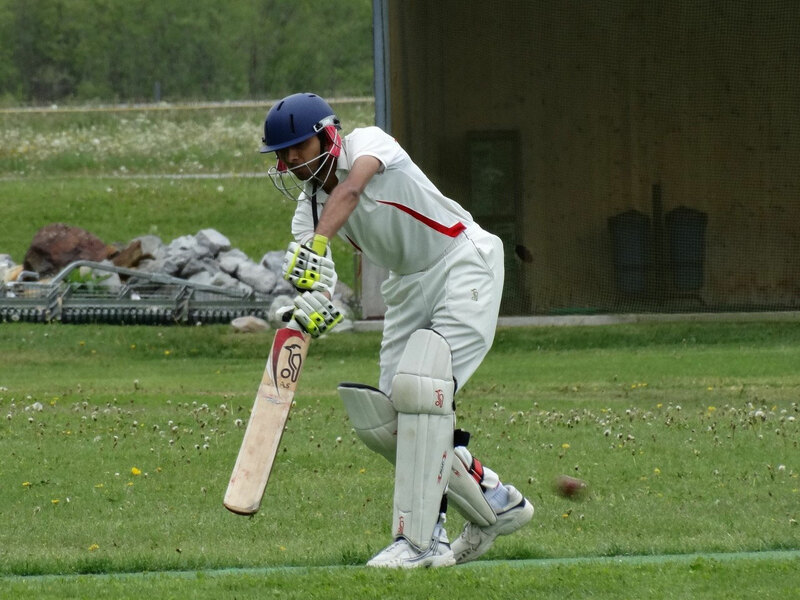 Geneva XI Stars CC are scheduled to take on GICC in their first 40 over league fixture in 2014. The game will be played at Onex, the home ground of XI Stars starting at 12.15pm. All players are requested to be at the ground by 11.15am. The interesting part of this years league campaign is that for the first time a pink ball will be used in the league matches.Geneva XI Stars will play a total of 5 league games in the western division. 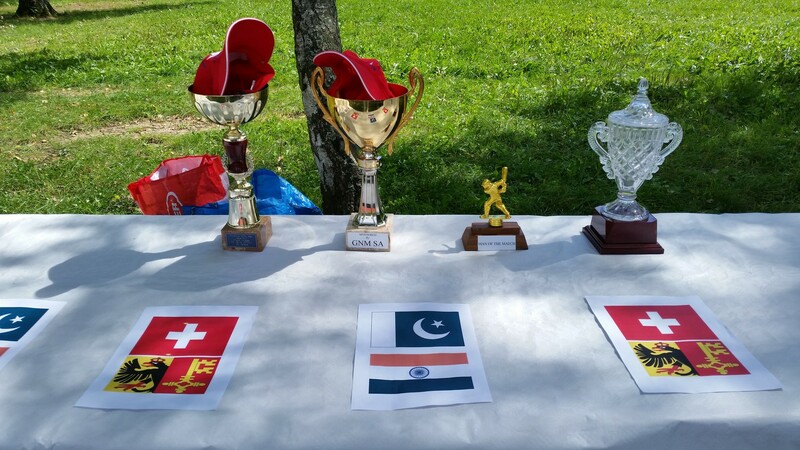 Geneva XI Stars are once again the runners up in the 2014 edition of Zuoz International cricket festival. They were defeated in the finals by a powerful Milan CC team for the second consecutive year. On the weekend of 14th-15th July, the Geneva XI Stars team travelled to Zuoz for the annual Zuoz Cricket Festival. Having finished as runners up in 2013, the team was confident in turning in another good performance and was determined to come out as winners this time. The tournament for the XI Stars started with captain Raja Hafeez handing debutant Sam Baxter his cap, as the team took on an Extras XI side put together at the last minute by the tournament organisers. Bowling first, the XI Stars bowlers hit their line and lengths almost straight away, with Ali Saleem claiming 2 wickets in 2 balls in the very first over of the innings. Asad Shah, bowling from the other end, was miserly in his 4 overs, conceding only 4 runs and getting 1 wicket to his name. The Extras XI innings lasted only 14.2 of the 30 overs, as Sam Baxter took 2 wickets from his solitary over, Parth Patel and Shamim Ahmed took one wicket each, and two of the Extras’ batsmen were involved in a run out. The Extras side was eventually bowled out for 29. The XI Stars openers, Raja Hafeez (25) and Waleed Saleem (3) made quick work of the target, reaching the score in 5.3 overs without losing a wicket. The knockout format of this tournament basically meant that the XI Stars’ next match against Idle CC would be pretty much a semi-final. This time, the Geneva team batted first. After losing a wicket early on, the XI Stars decided it was time to consolidate, Raja (29), Ali Saleem (35) and Parth (32) provided a solid foundation for the team, and Amandeep Singh took it upon himself to propel the XI Stars to a big total. His 27 balls 74 included 11 huge sixes, and it took possibly the weirdest bowling action ever seen on a cricket field to distract Aman into giving his wicket away. It was this bowler, Marco, who with figures of 3-0-10-3 (overs-maidens-runs-wickets), slowed the XI Stars’ down towards the end of their innings, however the Geneva side still managed to put 219 runs on the board from their 30 overs. Things started well for the XI Stars with the ball, with the first 3 batsmen, all 3 dismissed by Ali Saleem, back in the dressing room with only 52 runs on the board. This is when Idle CC decided to counter attack, with Ravi leading the charge for them. What followed next was unbelievable. The XI Stars team dropped one catch after another, as the pressure started to get to them. Parth and Shamim were the bowlers who got the XI Stars back in the game with 2 wickets each. 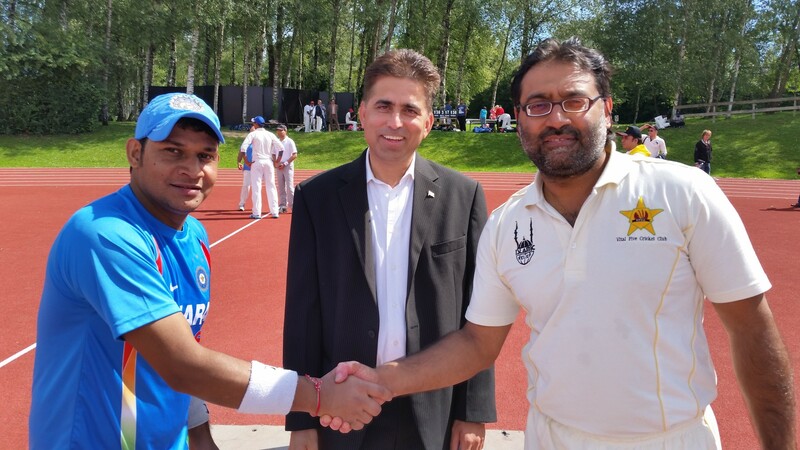 Shamim bowled with good pace and took the important wicket of Umarir (48), who was supporting Ravi brilliantly. The XI Stars however knew that they needed to get Ravi out in order to halt Idle CC’s progress. Raja called on his most experienced bowler Asad Shah, who delivered immediately by having Ravi caught on the point boundary for a well-compiled innings of 93 (4 fours, 10 sixes). At this point, the game was still in the balance, but the Geneva side held their nerves and managed a 6 run win to once again make it to the final of the competition. Idle CC were formidable opponents, but the Geneva team knew they would need to play better in order to defeat Milan, a team that had destroyed every team they had played in the tournament so far. The XI Stars batted first in the final and were outclassed by Milan from the start to the finish. Milan struck at regular intervals and none of the XI Stars’ batsmen could stay out on the pitch long enough, as the Geneva side collapsed to a paltry score of 59 all out. Milan, with no scoreboard pressure on them, then duly chased the score with only 1 wicket down to defend their title of champions. It was a disappointing end to a great weekend of cricket, however it was clear that the Milan team was a league above all the other teams present at the competition and thoroughly deserve their “champions” tag. For the XI Stars, the focus now shifts to the Swiss league. 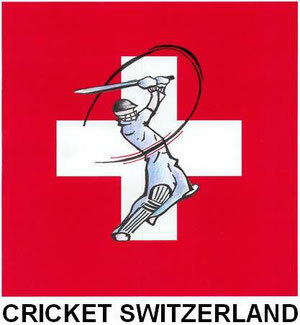 The focus now shifts to the Cricket Switzerland McGees 40 over League starting from 22 June against GICC. More details on the tournament can be found here. Geneva XI stars CC held a meeting with the commune and the following decisions were taken/ agreed. 1. A permanent practice facilities to be set up in September this year at a dedicated place next to the existing ground. 2. The commune will help the club with the laying of the flicx cricket pitch in the middle of the athletics field where the team currently plays all it's matches. This will enable matches to be played with bowling from both ends. 3. The commune will be looking at providing a purpose built cricket ground for the club from the year 2015. 4. The club will help the commune to popularise cricket in the local populace particularly amongst the youth prospective players. If you have any questions or want to know further details please contact the club president by sending an email. 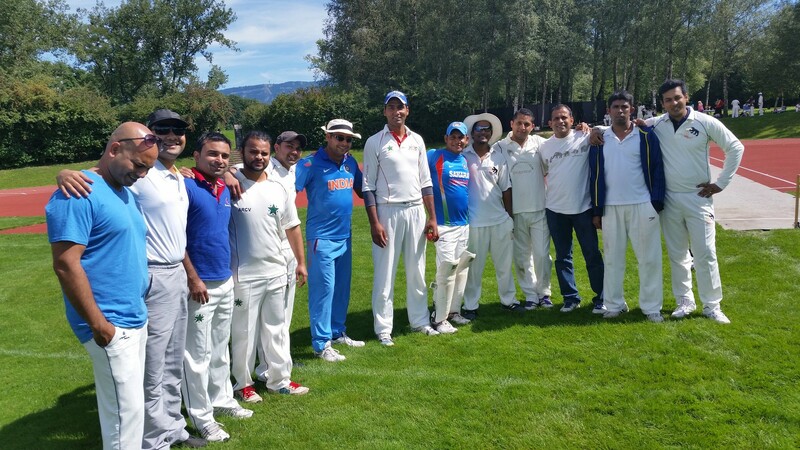 Geneva XI Stars will begin its 2014 cricketing season by playing a traditional friendly game against Cossonay CC at En Marche in Cossonay. The team is scheduled to play five league matches in the Western Division and will also participate in Pickwick Cup T20 competition. 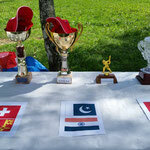 Geneva XI Stars has been invited once again to participate in Zuoz International cricket festival 2014 edition scheduled for 14 and 15 June. The team is very excited to be part of this fantastic tournament where we were runners up to Milan CC last year. This is the 3rd year running that our team will be participating in this exciting tournament. All the interested players are requested to contact the club and inform him of their availability by sending an email [Email].